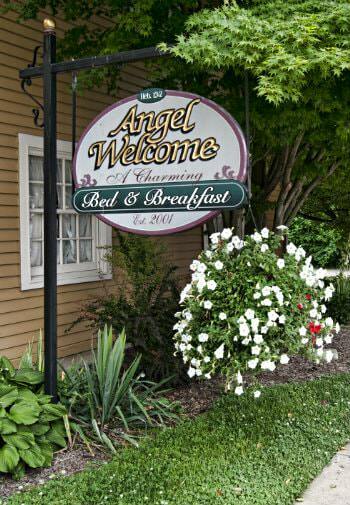 Enjoy charming surroundings and warm hospitality with “home away from home” amenities that await you at the Angel Welcome Bed & Breakfast, located near Sandusky in historic Milan, Ohio. This beautiful Federal home was built in 1828 by Daniel Hamilton, one of the leading citizens of Milan. Nestled just steps from the historic Thomas A. Edison Birthplace and Milan Historical Complex and Museum, our B&B is the perfect place to get away from the daily rush. Choose to take a peaceful walk through two local nature parks, or head downtown and stroll through antique, specialty shops, and restaurants, along tree-lined streets of historic homes. 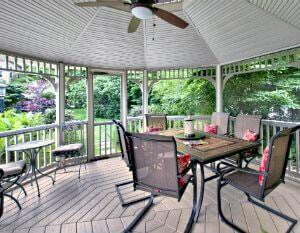 When traveling to the Sandusky area, consider lodging at Angel Welcome Bed & Breakfast. 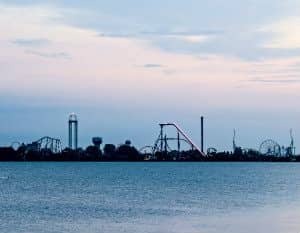 Whether you are planning a romantic getaway, hunting for antique treasures, boating or fishing on Lake Erie, taking a necessary business trip, or looking for some rest & relaxation, we provide a comfortable and peaceful atmosphere. Our rooms have been appointed with your comfort and pleasure in mind, featuring pillow-top comforts, antiques, family heirlooms, cozy robes, and private baths. Awake each morning to the aroma of freshly ground coffee and a variety of home-baked goodies calling you to a delicious gourmet breakfast. Choose breakfast by candlelight in our formal dining room or a bright start to the day in our beautiful breakfast room looking into the gardens. Judy has always been in the business world. A selfless, self-motivated individual, she started and owned many businesses throughout her life. It was in 2001 that a life change occurred, and Judy purchased the Hamilton-Stoddard House in Historic Milan, opening the town’s first Bed and Breakfast. In 2008, she and now-husband, Bernie, married. Bernie has a background in mathematics and science, teaching for 36 years in a neighboring school system, prior to his retirement from education. 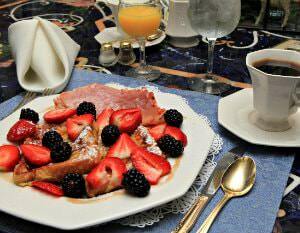 As innkeepers, it is our desire to provide you with the finest personalized service, relaxation, and the most delectable breakfasts. Angel Welcome Bed and Breakfast is honored to be a part of the Village of Milan, Ohio. The Birthplace of Thomas A. Edison is located just steps from the front door of the inn.